A dale is an open valley. It is used most frequently in the south of Scotland and in the North of England, where the term “fell” commonly refers to the mountains or hills either side of the dale. The Yorkshire Dales is an area of North Yorkshire that has many hills and, of course, valleys. The Yorkshire Dales is a beautiful and special area of England. Since 1954, its countryside has been protected as a ‘national park’. There are 15 such national parks across the UK. How many have you visited? Stick the map in your book and mark on Leeds and London. What is a national park and what is its purpose? 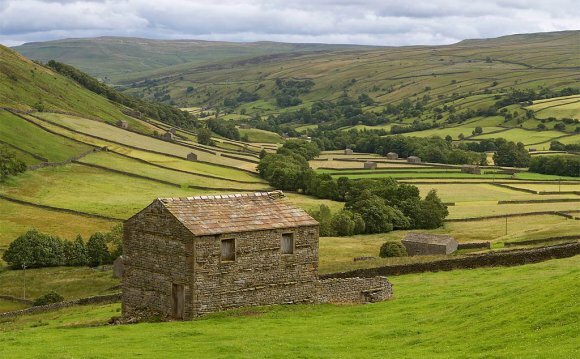 When was the area of the Yorkshire Dales designated as a national park? What are the names of four other national parks on the north of England? Name a single national park in Wales and in Scotland.